Universal Credit (UC) is a new, single benefit that will eventually replace six means-tested benefits for people of working age such as Housing Benefit and Working Tax Credits. In 2015 Universal Credit went live in Wiltshire Jobcentres in Chippenham, Devizes, Salisbury and Trowbridge for new claims from single people who would otherwise have been eligible to claim Jobseeker's Allowance, including people claiming Housing Benefit or Working Tax Credit. In the summer of 2017, full service Universal Credit was rolled out in these same Jobcentres. Between 1 April 2017 and 31 March 2018 we helped people in Wiltshire with almost 1,700 issues with Universal Credit. Across England and Wales, Citizens Advice have helped people with over 200,000 Universal Credit issues since it was introduced in 2013. By 2022, 7 million families in the UK will be on Universal Credit. Over half of those will be in work. The aim – to simplify our benefits system – is right. But Universal Credit is already failing many people. It is forcing people into debt and leaving them without the means to make ends meet. At Citizens Advice across the country we’re already helping thousands of people who are claiming Universal Credit. If the problems with Universal Credit aren’t fixed they will escalate. That’s why we’ve been campaigning for the Government to address the issues with Universal Credit before this happens. If they don’t, 7 million households will face serious financial risk. Since Universal Credit was introduced we’ve used our clients’ evidence to help us persuade the Government to make changes that ensure UC works for the people who need it. Locally and nationally Citizens Advice have been campaigning since July 2017 for the government to pause and fix Universal Credit. This is because our evidence shows that Universal Credit can leave people unable to pay essential bills and can risk pushing them into debt and hardship whilst they wait for their first payment. In November’s Budget, the Government announced a number of changes, including a £1.5 billion package of support for UC. These changes should make a significant difference to the millions of people who will be claiming UC by the time it’s fully implemented. We will continue to keep a close eye on the roll-out of UC and make sure they do. The Government will be looking again at Universal Support to ensure those who need it are helped to get onto UC and to adapt to the changes involved, and wider changes to UC and the taper rate are under review. We’ve called for all these changes in recent months and believe they will make a real difference to the people we help. 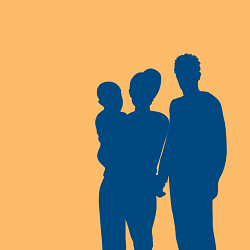 National Citizens Advice are now looking at how to make sure Universal Credit works for low-income working families. You can read more about Citizens Advice work around Universal Credit and modern employment here. Need advice about claiming Universal Credit or have questions? Get advice online about Universal credit. Get advice over the phone from us about Universal Credit by calling 03444 111 444. Get advice in person at your local Citizens Advice. See opening times and where to find us. Get advice from us about Universal Credit by email. Our data gives us some of the clearest insights yet into how Universal Credit is working and the problems people are having. *All stats are from a representative survey of people coming to Citizens Advice in Universal Credit full service areas as of May 2017. More than 1 in 3 people we’ve helped on Universal Credit are waiting more than 6 weeks to receive any income. 11% are waiting over 10 weeks. Karen and her husband tried to make a joint Universal Credit claim when full service rolled out in their area of East Anglia. Karen was given a code to register her husband’s details, but it wasn’t accepted by the online application system. She tried to get through to the helpline but after numerous attempts, she gave up because her credit was running out. She had spent £9 on the calls. Karen came to Citizens Advice and an adviser called the helpline on her behalf. After waiting to get through for around 40 minutes, Karen was told the Universal Credit service centre did not have the IT required to deal with her problem and that she needed to go to the Jobcentre. By the time she had visited the Jobcentre to have the problem resolved, the family’s application had been delayed by an extra week. Given this is then followed by a six week wait for a first payment, small implementation issues considerably increased the financial pressures on Karen and her family. 30% of people we’ve helped have made 10 or more calls to the helpline to sort out their claim. Everyone claiming Universal Credit has to call the helpline to complete their claim. This was costing up to 55p per minute. It is now free. 40% of people we’ve helped reported they were not aware they could get an advance payment to help with the initial waiting period for their first payment. Over half of the people we’ve helped who receive Universal Credit borrowed money whilst waiting for their first payment. The people we see on Universal Credit are nearly one and a half times as likely to seek advice on debt issues compared to those on other benefits. To find out more about Universal Credit, read our report on Delivering on Universal Credit. Call us on 03444 111 444. Lines are open 9am to 5pm, Monday to Friday. Or see our online advice on Universal Credit.